The Union government today concluded the strategic sale of Dredging Corporation of India to a consortium of four ports Vishakapatnam Port Trust, Paradeep Port Trust, Jawaharlal Nehru Port Trust & Deendayal Port Trust, a move which would help it meet the Rs 80,000 crore disinvestment target set for the current fiscal. A share purchase agreement was signed between the Union government and the four ports today. The government held 73.47 per cent equity stake in the company. The transaction was concluded at a premium price per share of around Rs 510, vis-a-vis today’s closing price of the Company of Rs 437 per share. The government stake was valued at around Rs 1050 crore. Rajeev Shah, Managing Director – RBSA Advisors, said, “This is a win-win transaction, wherein the acquisition will facilitate the linkage of dredging activities with the ports. The co-sharing of facilities between DCIL as well as ports is expected to lead to savings for ports. On the other hand, the deal was concluded at a premium, resulting in better realisation for the government.” RBSA Advisors had acted as the transaction advisor to the government. 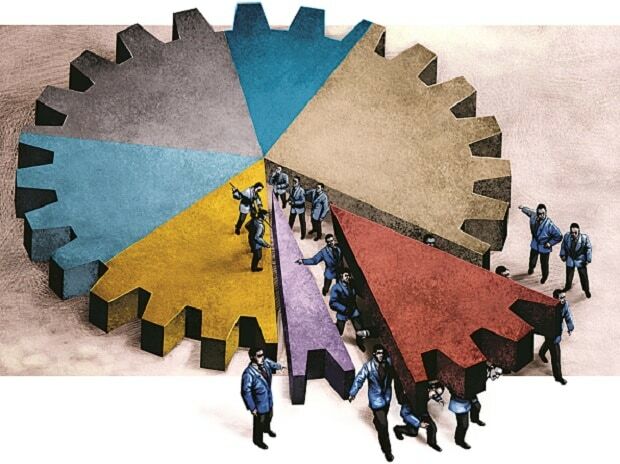 As part of its disinvestment programme, the NDA government has made strategic disinvestment in its companies by asking other CPSEs to buy out its stake. Besides, sale of Hindustan Petroleum Corporation to Oil and Natural Gas Corporation in January 2018, Power Finance Corporation would be taking over Rural Electrical Corporation in the current year.